Convert line endings between CRLF, CR, and LF formats. 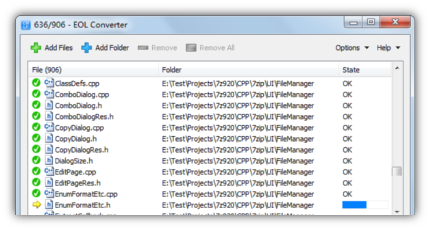 Convert files "in place" and keeps original timestamps and attributes. Delete intermediate, temporary, junk, and all unwanted files/folders. Support presets, allow you to add/edit/remove preset. Copy the contents of selected file directly to the clipboard. 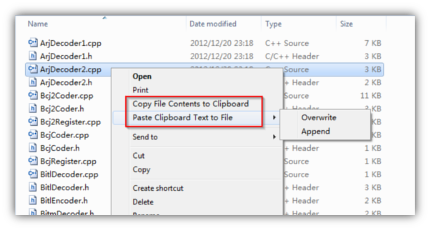 Paste the contents of the clipboard directly to selected file. Paste the contents of the clipboard as a new file.